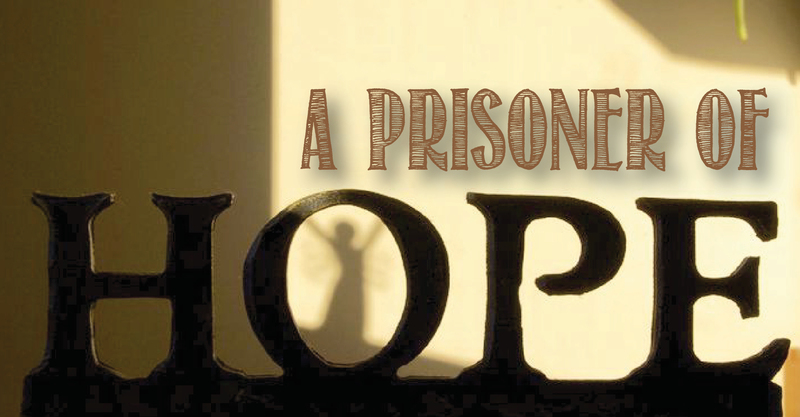 Prisoners of hope. I was a bit perplexed and taken aback by such a phrase. I looked up the passage in a number of Bible commentaries, and I came to realize that it referred to those who knew and believed the promises of God, so that no matter what trials they went through their hope kept them from giving up. It kept them from giving up. They didn’t just miraculously stay strong. Their hope kept them from despair. If someone is a prisoner of someone else, it means that they are unable to be free from the force that has overpowered and imprisoned them. Typically we think of this as a negative thing. Yet here it is used to refer to something positive. It completely reframed my understanding of hope. Usually we think that hope is something we choose—something we can make a choice to have or not. While there is some truth in that, it seems that hope in God is more than just a choice. Of course we choose to follow God or not. Yet as we begin to know and understand the ways of God and as we build a relationship with Him we also come to trust and believe His promises. Those promises hold us captive, so to speak, so that no matter what happens to us, we cannot shake free from the clutches of hope in the Lord. Whenever our brothers and sisters in Christ have been martyred around the world, it was not because they simply chose to have hope. Any ignorant fool can choose to believe something. It was not that they believed just anything, but that they believed the truth. They had a living relationship with Jesus, the living Truth. No matter what anyone could do to them, knowing the Truth held them captive to hope. Their persecutors could take their lives, but not even that could emancipate them from the clutches of their hope in God. In talking about the difference between a vow and a promise, Layton Friesen writes, “A vow is not broken like a promise. The vision embodied in a vow goes far beyond my abilities and maybe even my desires. I will fall short of the vow two minutes after taking it, but a vow is not broken by that. The vow keeps turning me in the right direction; it draws me onward to a destiny I cannot reach on my own steam. A vow is broken not by falling short of it, but by abandoning the covenant all together.” While this is in reference to the covenant relationship of marriage, it also relates to our relationship with God. All true Christ-followers live in a covenant relationship with God. We cannot, in our own power fulfill our part of the covenant, so God sent Jesus to fulfill that on our behalf. Thus in entering into this covenant with God, we are recognizing that we have not, do not, and will not meet those requirements on our own and that we are fully reliant on Jesus to do so on our behalf. Thus our own doubts, fears, feelings or failures are not enough to leave us destitute and hopeless. We are prisoners of hope. Our heart and flesh may fail. Our feeling may mislead us. But at the end of the day the truth of Christ’s sufficiency is inescapable and having hope is inevitable. While I may sometimes enjoy my forays into self-pity and misery, the hope of Christ is constantly there, reminding me of the truth. It is holding me and calling me back to the truth; reminding me of the ultimate reality that, in the words of Horatio Spafford, “It is well with my soul”. Like my wife’s smile piercing the facade of my gloominess, so is God’s hope piercing through the deceptive nature of feelings and doubts. I am a prisoner of hope, and I am learning to love this prison. Kevin Wiebe is the senior pastor of New Life Christian Fellowship in Stevenson, Ont. He served in a mission-based Christian radio ministry in Fort Vermilion, AB, before obtaining a BA (Communications and Media) from Providence University College in 2013. He began at NLCF in July 2013. He is married to Emily; they have three young children.